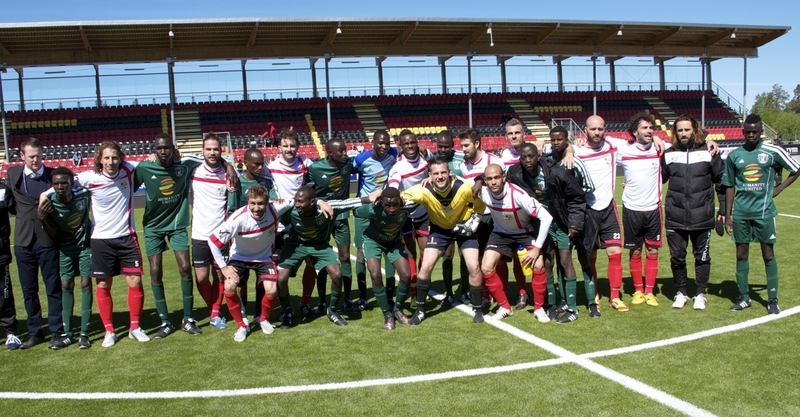 These are the words of Darfur United Head Coach Mark Hodson in response to the announcement of the 2016 ConIFA World Cup in the Autonomous Republic of Abkhazia, a disputed territory and partially recognized state controlled by a separatist government on the eastern coast of the Black Sea. 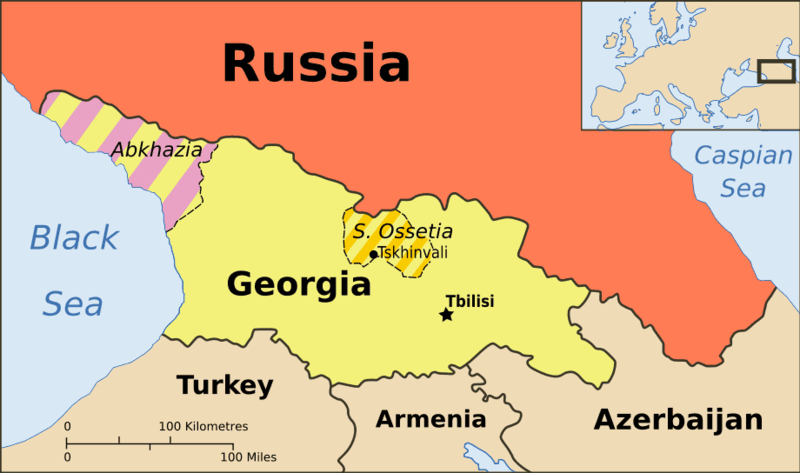 All the teams will need to travel to Sochi, Russia and together will travel over land to reach Abkhazia. As usual, it won’t be an easy journey for our Darfur United team members, but our fearless team is mobilizing and ready to take on the challenge. The biggest challenge, as usual, will be to get the players to the tournament and prepared to compete against the other teams. i-ACT will create a plan A, B, and C to make sure we get DU to the tournament! 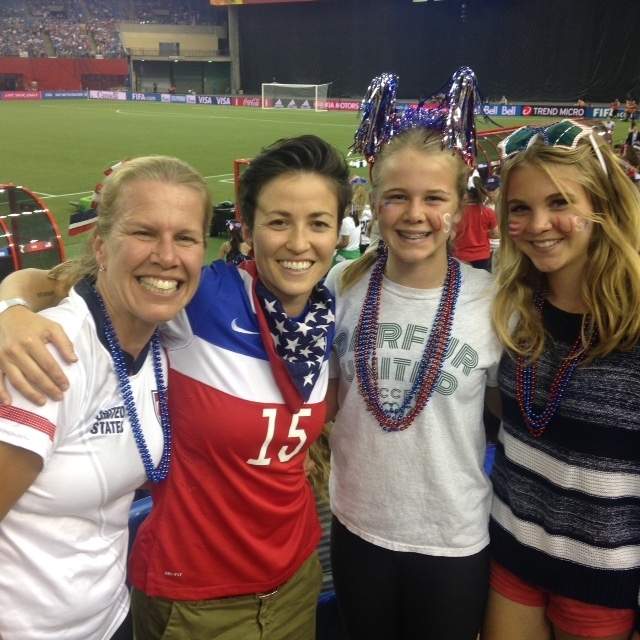 “Dr.” Alex Nuttall-Smith and Rachael Rapinoe, both recipients of the DU Spirit Award, at the Women’s World Cup in June 2015 with Ella and Julia Nuttall-Smith.